—There’s a smell of burn, she said. Did you leave anything on the fire? —The kidney! he cried suddenly. He fitted the book roughly into his inner pocket and, stubbing his toes against the broken commode, hurried out towards the smell, stepping hastily down the stairs with a flurried stork’s legs. 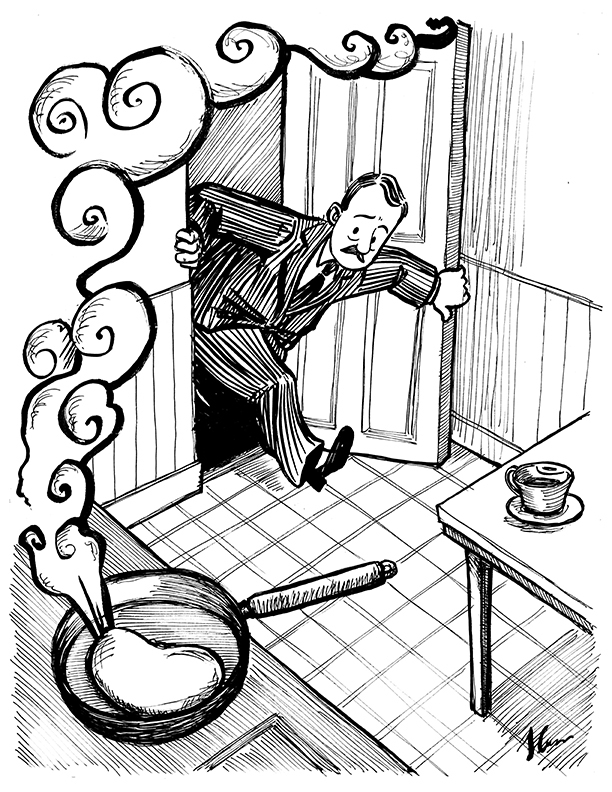 Here’s another scene from Ulysses (featuring a surprisingly controversial kitchen door). I’m trying to develop a lot more looseness in the drawings than I usually manage, because Richard Thompson is amazing, and I want to be amazing.